Nowadays, Spring security is listed as one of the most important skill for experienced Java developers and many cases it is also the differentiating factor between two Java web developer with similar skills and experience. Given the importance of Security and popularity of Spring security, many Java developers are learning this useful framework but it's not that easy. You need to spend a good amount of time to understand both Security and how you can implement those aspects using Spring security framework, that's where a good book or a good online training course helps. I learned Spring Security my own and it took me a lot longer than I expected. I also had several gaps in my knowledge because my learning wasn't comprehensive or methodical but gone are those days. Nowadays, there are a lot of good Spring security online courses like Eugen's Spring Security Masterclass which not only teaches you basics but also the advanced feature of Spring security and how you can customize based on your organization need. In this article, I am going to share some of the best online Spring security training courses from popular learning websites like PluralSight, Udemy, and Baeldung. The list contains Spring Security courses for both beginners and experienced Java programmers. Based on your experience with Spring Security you can choose the courses to enhance your knowledge and fill the gaps in your knowledge. This is my favorite resource for learning Spring Security today. It's also one of the most advanced and comprehensive course you can get. The author, Eugen Paraschiv shares his real-world experience with securing REST APIs and Java Web Application using Spring Security. The best part of this course is that it's always up-to-date. Eugen is very diligent about keeping this course most up-to-date and that's why he is re-writing several of its session based upon new features introduced in Spring Framework 5 and Spring Security 5 release. On the cons side, the course is slightly expensive and if you are paying from your pocket i.e. your company is not sponsoring or reimbursing course of this course then you may find out about your budget, but if you can afford then this is certainly the best course to learn Spring security in quick time and good detail. Also, if affordability is an issue, you may check a little bit less comprehensive Spring Security MasterClass course, which will cost you less money. I first come to know about Pluralsight when one of my readers gifted me the Pluralsight annual membership, big thanks to him. From then on, I am hooked to this site because of several high-quality courses. The Spring Security Fundamental course is one of the courses form Spring series by Bryan Hansen. You might have seen his Spring Fundamentals and Introduction to Spring MVC course already, two of my favorite resource to learn core Spring and Spring MVC. This course is based on getting started with Spring Security. You will learn the anatomy of secure application and the risk they have. Slowly you will be introduced to key security concepts e.g. 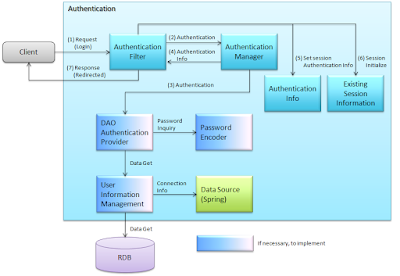 authentication and authorization and you will learn several of Spring security essential features e.g. LDAP authentication and Role-based access control in this course. You can also get this course for free because Pluarsight provides a 10-day free trial which is more than enough time to finish this course, btw, Pluarsight's annual membership is certainly worth every penny if you follow the principle of at least spending 5 hours a week to learn and upgrade yourself. 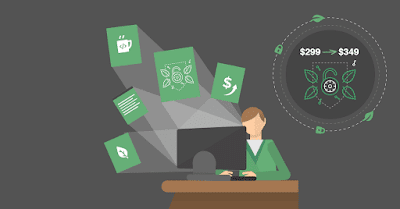 Udemy is another great platform to learn online by yourself. As a programmer, I have learned many new framework and technologies myself by just reading books, blogs and attending these online courses and Udemy has played a big part in it. This site has the world's biggest collection of online training courses. You will find a course on whatever you want to learn. I have used this site in past to learn Spring framework and Spring Boot as well. This course is an introductory course of Spring Security hence best suited for any Java developer who is starting from scratch. It will teach a Java programmer to add robust security to their web applications. Just like Facebook requires you to log in before you can access your profile page, I will teach you how to stop unauthorized users from accessing the protected pages in your Java web application. The best part of the course is that no prior Spring Security experience is needed and Udemy is offering a 90% discount on this course now, which means you can get in just $10. This is another good course on Spring Security from Udemy. This is the first part of the two-course series which will teach you Spring security in depth. This first course builds up the basic knowledge with hands-on practice and the second course is titled "Learn Spring Security 4 Intermediate - Hands On", which dives deeper on the topic. In this course, you will learn some of the basics of Spring Security 4 with hands-on coding. We will use a demo web app called “Cleaning Service Center” an example to see how we can bring our security layer to the next level. This is the second part of the course and focuses on more intermediate and advanced concepts of Spring Security. I suggest you go through the first course before attending this one because you won't get much if you don't know Spring security basics. By the time you finish these two courses, you should be able to understand most of the problems related to Spring Security 4. You will understand how to approach various issues related to security in web app development and how to utilize the power of Spring Security to solve those issues. 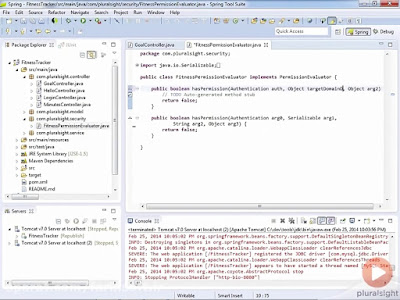 That's all about some of the best courses to learn Spring Security for Java developers. These courses will give you enough knowledge and experience to secure your Java web application and launch in the real world. Security is a very important topic and even if you are not running your own startup and working for some company it is one of those skills which is valued very high. Good knowledge of Spring security goes a long way in application development and you will be often rewarded with a better career opportunity and pay in the future. How to prepare for Spring Certifications? How to pass Spring Certification without taking training courses? Thanks for reading this article, if you like these courses then please share with your friends and colleagues. If you have any question or feedback then please drop a comment. P. S. - If you like books more than courses then you can also check out my list of some Spring Framework Books experienced Java developers should read this year.